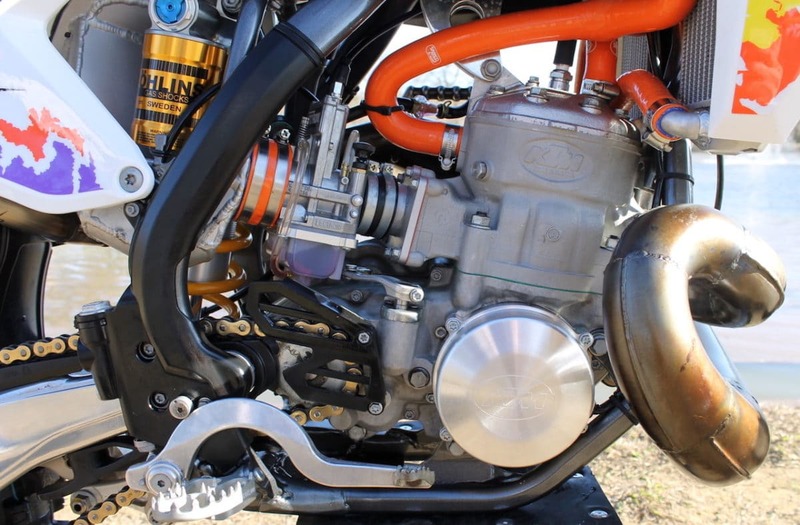 Straight Line Motorsports KTM 440 conversion is our main focus on this week’s Two-Stroke Tuesday brought to you by Boyesen. We packed 2-Stroke Theater full of big bore machine for your viewing and listening pleasure. Be sure to click our exclusive link to the one bike you must ride before you die at the bottom of this post. 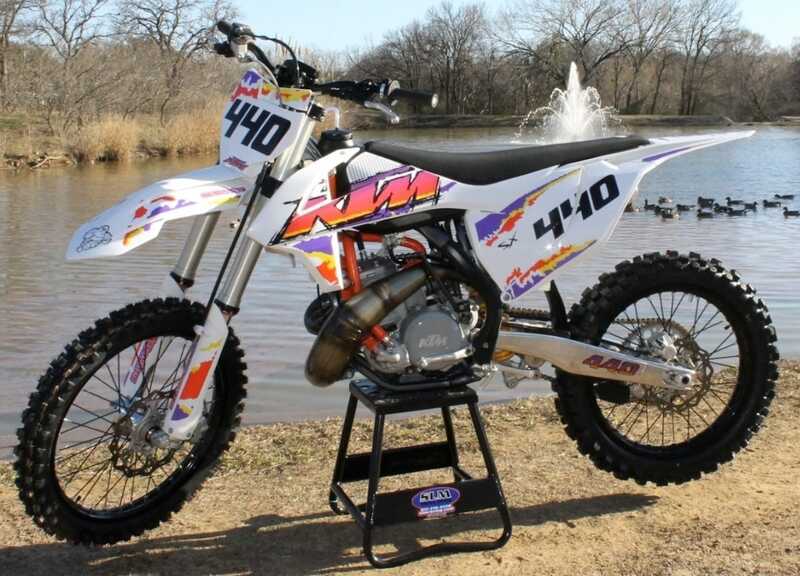 The SLM Racing KTM 440 is a mix of old and new school technology . 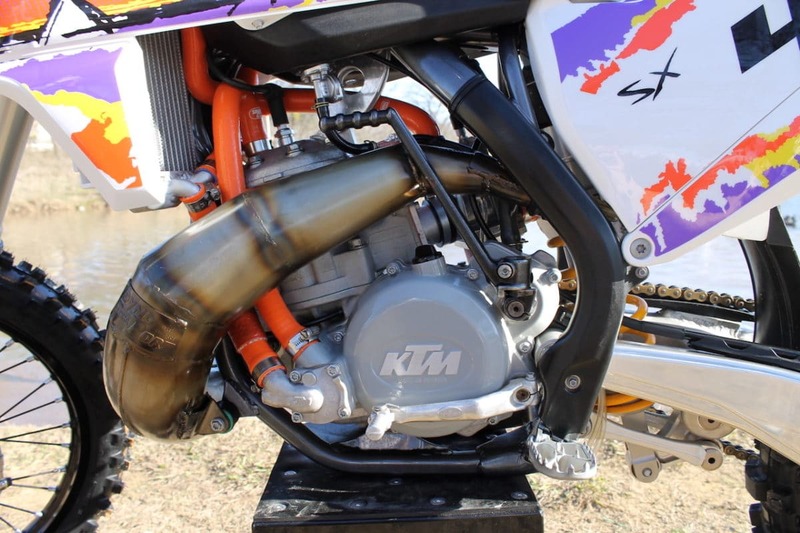 The power plant is a 1995 KTM 440 big bore and they placed that in a modern KTM two-stroke chassis. Modern day KTM faithful may not remember the righthand drive days but in 1995 this was the norm. The engine features a laundry list of modifications. 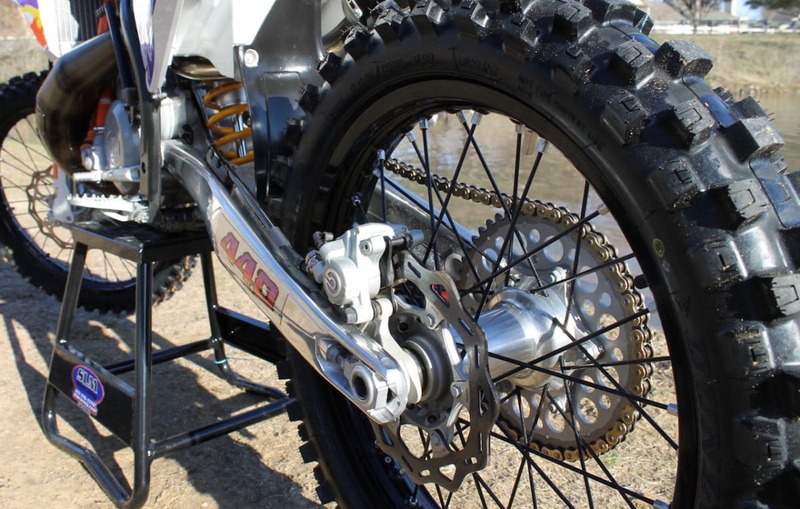 Just visible in this picture are billet ignition cover, Lectron Carb, Samco hoses, Boyesen RAD Valve and check out that custom aluminum airbox. 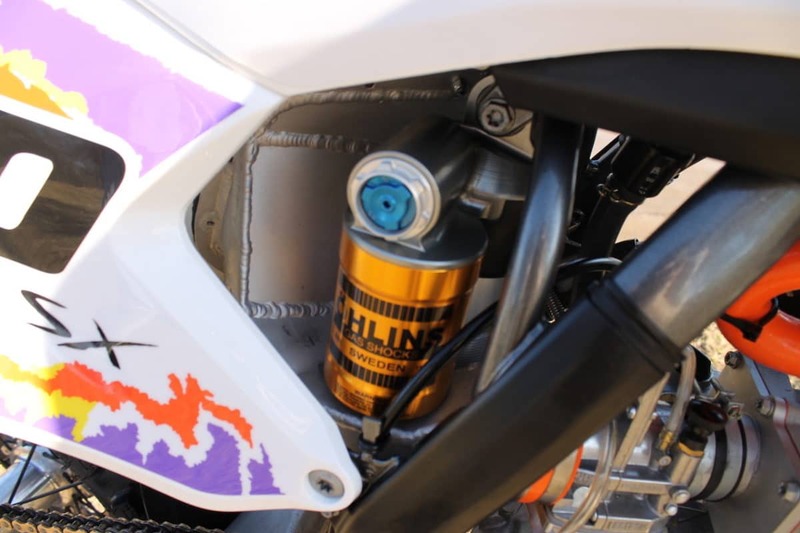 An Ohlins shock is used in the rear and as you can see it fits perfect around the custom made aluminum intake system. A kick starter on the left? Yep another thing that was common on KTM’s not that long ago. Dyno Port made that cone pipe you’re drooling over just in case you are wondering. This machine looks surprisingly stock just sitting on the stand. Looks can be very deceiving. Todd and the crew at SLM Racing wanted to make a statement with performance rather than looks. We think they nailed both. Don’t worry you will see a lot more of this machine in an upcoming issue and of course a couple videos. If you ride 2-Stroke this is where you want to be the end of March 2018! 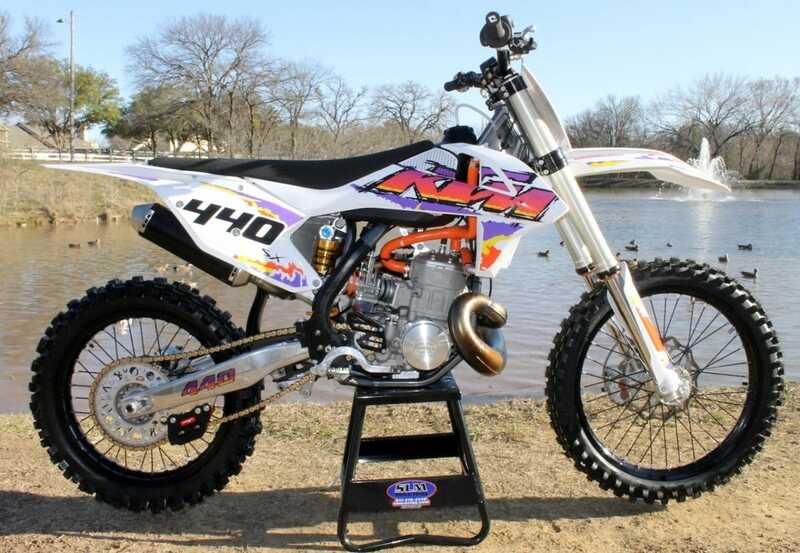 They just added a 125cc Pro Class with $1,000 purse. 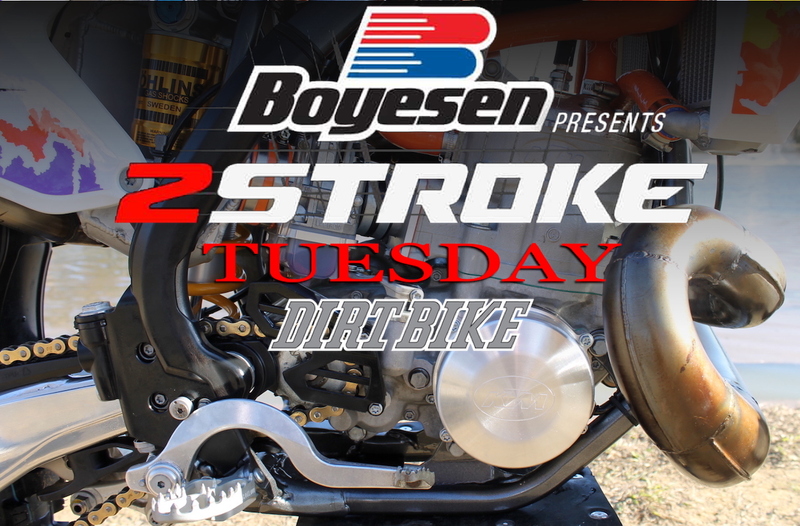 See one big bore Two-Stroke you must ride in your lifetime! Click the link or image below!